Below is the media release for the 2015 Festival Launch. 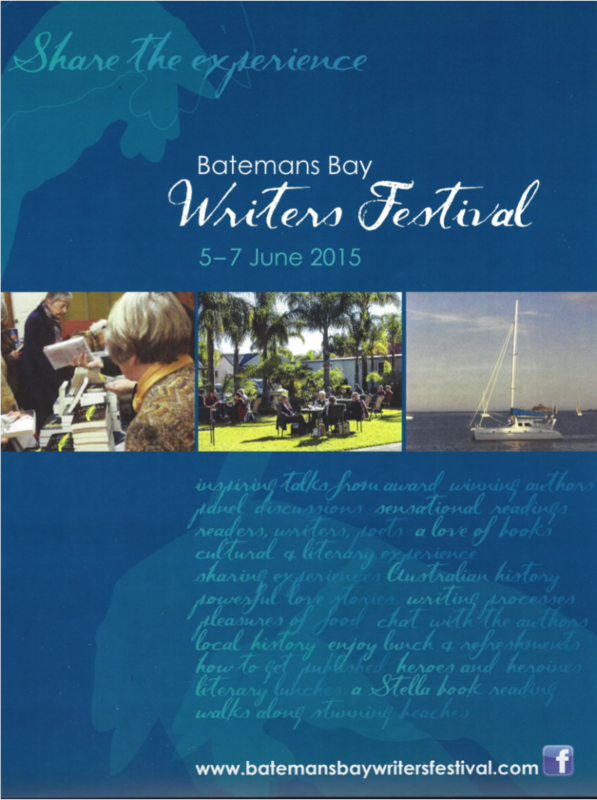 Australian authors Graeme Simsion, Julie Janson and Gabrielle Lord are among the exciting presenters for the 2015 Batemans Bay Writers Festival, to be held over the June long weekend at the Coachhouse Marina Resort. Eurobodalla Mayor Lindsay Brown launched the event and an excellent turnout of supporters and media ensured an exciting atmosphere. All the Authors and Presenters details are now available on this site. Meet you at the Hub!